RAW: natural born artists is an independent, international arts organisation. 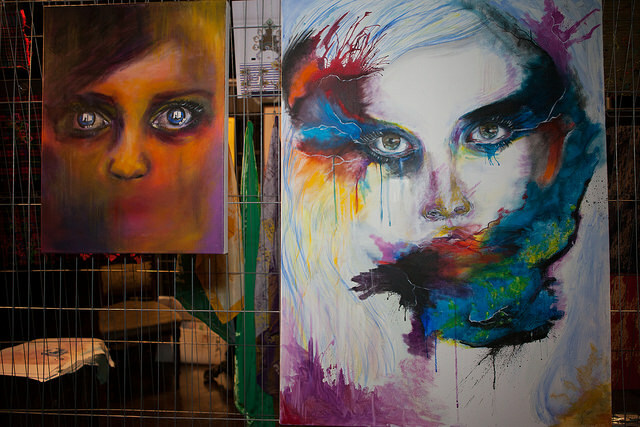 RAW focuses on spotlighting underground artistic talent to the public. The first ever RAW London Showcase was launched in September 2013 at Proud Camden, which was a Sold out Show and all round an incredible event! RAW London is currently scouting artists, designers, performers, musicians, filmmakers, and other creatives to be part of the 9th Showcase Festival on 16th April at 93 Feet East! To explain a bit more about what it is; RAW: natural born artists was started in 2009 in LA and now operates in over 60 cities across the U.S., Australia, Canada, and London. Every other month RAW hosts a Showcase featuring live fashion shows, a pop up art gallery, live music, performance art, films, accessories designers, and the work of hair and makeup artists. RAW’s mission is to promote artists and offer them a unique opportunity to showcase they work amongst other talented artists from London. The Showcase is a fun, high-energy mini festival where artists can connect with other artists, industry professionals and press. In order to participate in the event each artist is asked to sell 20 tickets at £12 a head to the event enabling him or her to forgo a participation fee. The perks are well worth the hard work. As part of being a featured RAW artist, each artist is given a media kit consisting of a behind the artist interview video (edited), head shots and photographs of their work, and an online platform via the website to upload work and network with other artists. Each artist is welcome to sell any merchandise or fan gifts. No commission is taken on any sales made at the Showcase festival or afterwards through our website. A RAW London Showcase Festival is a unique exciting event for emerging talent in London! This entry was posted in Artists and tagged 93 feet, artist call london, Brick Lane, emerging artist. exhibition, raw: london. Bookmark the permalink.